Email campaigns are a widely used method by marketers to ensure success when it comes to online campaigns. Emails campaigns have a much higher conversion rate and create better leads than other means of communication. The larger email list that you have then the better reach you will have when it comes to communicating with your audience. But first off, you have to know how to check if an email is valid or not with an email validator. Having an email campaign will definitely boost your site’s conversion and click rates as compared to other methods such as using social media, it’s effective and it’s cheaper too. It’s also a permanent means for you to communicate with your audience unless they unsubscribe. With social media, you can’t dictate and know if your posts have reached all of your likers or followers which can be a big bummer. Email campaigns provide you with a much better platform when it comes to promoting your services, content or product. How to check if an email is valid? 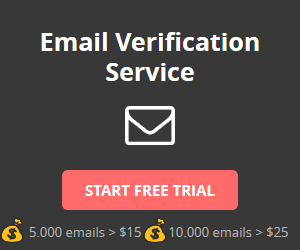 It’s very simple; just use an email verification software. If you have a large email list, then always run the software first, you will know if the emails on your list are deliverable or not since this can affect your campaign’s effectiveness. Poor deliverability may result in your mails being sent to the spam folder instead of the inbox and much worse, being blacklisted by internet service providers. Know how to check if an email is valid right now and get started on your email campaigns right away. Choose the best email validating service, there are lots of them that you can find on the internet and some even offer free services for marketers such as yourself. Run your lists through them to help clean it and have a better and improved email list.